(C) and sides (A). The back and side horizontal supports should be glued and screwed in place using 2-1/4-inch-long screws placed approximately 6 inches apart. Cut three back horizontal supports (D) from 2x2 pine, each 43-1/2 inches long. Attach one back horizontal support (D) flush with the exposed edge of the top of the back (C), between the inner vertical supports (B), as shown in Figure 3. Attach a second horizontal support (D) positioned between the two inner vertical supports (B) and flush with the bottom edge of the back (C). 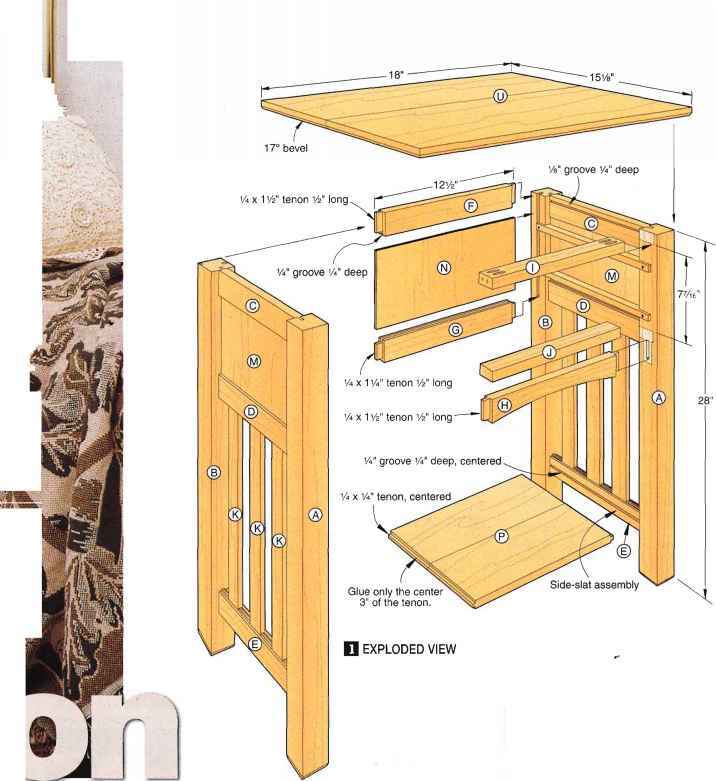 Measure 29-1/4 inches from what will be the top of the armoire (it can be either end—now is when you decide), and attach the remaining back horizontal support (D) between the two inner vertical supports, as shown in Figure 3. 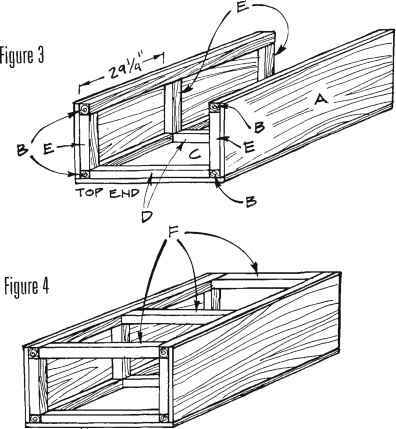 Attach one side horizontal support (E) between the inner vertical supports (B) and flush with the exposed top edge of the sides (A), as shown in Figure 3. Measure 29-1/4 inches from the top of the armoire, and attach the second side horizontal support (E) between the two inner vertical supports (B), as shown in Figure 3. 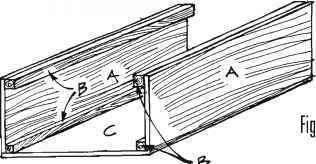 Attach the remaining side horizontal support (E) flush with the bottom exposed edge of the side (A). Repeat steps 5 through 8 to cut and attach three more side horizontal supports (E) to the remaining side (A). Cut three front horizontal supports (F) from 2x2 pine, each 43-1/2 inches long. Attach one front horizontal support (F), between the inner vertical supports, at the very top of the sides (A). Use glue and 3-1/2-inch-long screws, screwing through the side (A), through the inner vertical supports (B), and into the end of the front horizontal support (F). See Figure 4. Attach the second front horizontal support (F), between the inner vertical supports (B), at the very bottom of the sides (A).